StageW provides courageous leadership by first rejecting political divisiveness and then advancing fresh ideas to activate the best solutions to the complex social issues dividing Wisconsin. Our plan is called, “W-Alive™” because StageW plans to bring WisconsinAlive™ by bridging the political divide™. We make living here better for everyone. Wisconsinites used to love a good but civil debate – the kind of debate that allowed us to hash out the details and still unite around the things that make living in Wisconsin great. Unfortunately, those days are long gone. Now we’re so divided that our elected officials and many neighbors who were once friends, don’t even talk to one another anymore. It’s all about the politics of special interests and self-interest and it’s causing the Wisconsin we all love to shrink under the pressure of our own divisiveness. Radical and immediate change is needed – the kind of change that requires courage from everyone. StageW takes a fresh and unbiased look at the complex issues plaguing Wisconsin; suggests out-of-the-box solutions to improve the quality of life in our state and then aggressively invites everybody to, 1) love or hate our ideas, 2) dig in and help us make our ideas better, 3) take one of our ideas and run with it and/or, 4) share a great idea of their own so we can roll up our sleeves and help them make it happen. Click the spotlights below to explore the ideas. Stay informed on all things StageW. The issues dividing Wisconsin are much easier to understand when you see them through the eyes of the people living them. It takes guts to consider the perspectives of people who don’t see the world the way you do and even more guts to consider questioning your own perspective. 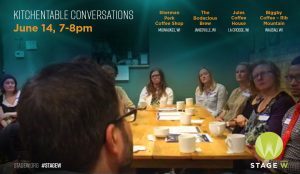 Join us at KitchenTable Conversations as we take what we learn to together find workable solutions that make living here better for everyone. 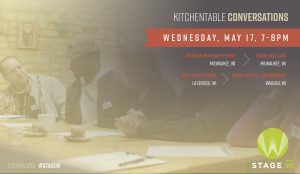 Since November, KitchenTable Conversations has grown from eight brave people tired of living in a divided Wisconsin. Now, hundreds have attended and thousands have viewed online. The people who attend KitchenTable Conversations have figured out that it’s possible to disagree on important issues and still find constructive ways to move the conversation forward to find real solutions. ScoreA’s is for student athletes who are committed to higher education but struggling in school. 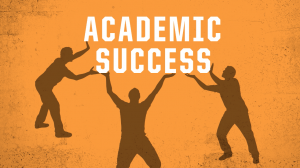 These students are mentored by willing and able teammates, boosting academic achievement for everyone involved.